Once again, Democrat operative Robert Mueller had another white collar “criminal” taken down by a pre-dawn FBI SWAT team raid – and CNN was invited to watch?!? This extremist leftwing Democrat treats white collar arrests like he’s going after a drug lord kingpin in his fortification surrounded by an army of thugs. All he had to do was give Stone a phone call and ask him to come in. What Mueller is doing is deliberately terrorizing the families of Trump supporters to teach future Trumps that they will be treated as enemies of the state by leftwing fascists. Democrats create crimes where none exists to persecute Republicans. Just as they slander President Trump for the shutdown “forcing government workers to go eat at soup kitchens,” they lament phony suffering because their paychecks are being withheld for a couple of weeks. But they didn’t give a fig about just as many coal miners that Obama put out of business for two years! Democrats are out to teach the good people of America that they rule with an iron fist. And these two-faced lying Democrats have the gall to say this is not only deserved but a Trump administration operation? Getting Democrat’s iron boots off the necks of the people is paramount to stopping them from taking back power by force and fraud. President Trump not only needs to build a wall to stop their importation of invading criminals. He needs to take down the likes of Mueller with a pre-dawn raid and seize everything from the offices of these angry Democrats. There is no doubt that what Mueller has been doing has nothing to do with investigating any crime, but in digging up dirt and creating crimes with which to persecute Republicans. Use Mueller’s Gestapo tactics against him. This 21st century Robespierre needs to suffer the consequences of his excesses. In addition, probably 80% of his actions have been to cover up and conceal the crimes of Hillary and Obama and other Democrats in government. It is well known that Hillary is the one who was working with the Russians prior to the election. And it was she who destroyed subpoenaed evidence to obstruct discovery by the judiciary. No one made any raid on Hillary or seized any of her servers before she destroyed them. 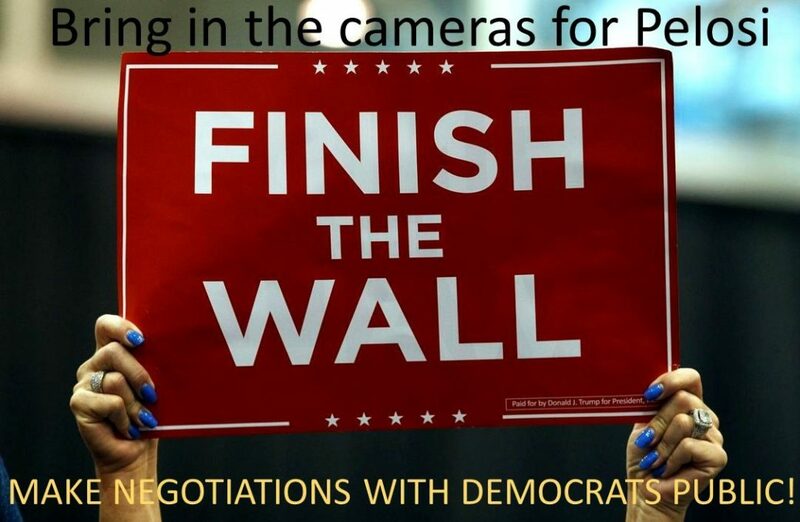 Why hasn’t President Trump opened wide-ranging investigations into Democrat voter fraud and the theft of taxpayer money by Obama to pay his Wall Street cronies and fund the Muslim Brotherhood’s Jihad? Americans deserve the answers as to where their money went and who has been committing crimes and treason within our government. Is President Trump truly fighting the swamp to clean out corruption and make America great again? Or is this some great political theater to appease the righteous taxpayers and then drop the hammer on them with the next Democrat president declaring America to be a socialist dictatorship? Is this just a plot to root out Americans who would stand against them? Only time will tell, but all of us are sickened and disgusted by this Mueller investigation dragging on for years with no end in sight and no justice to be found.